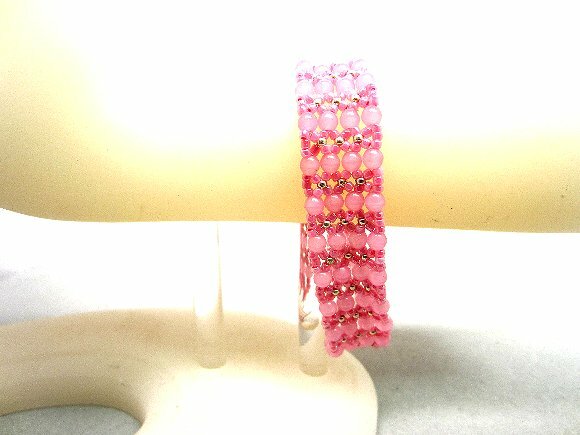 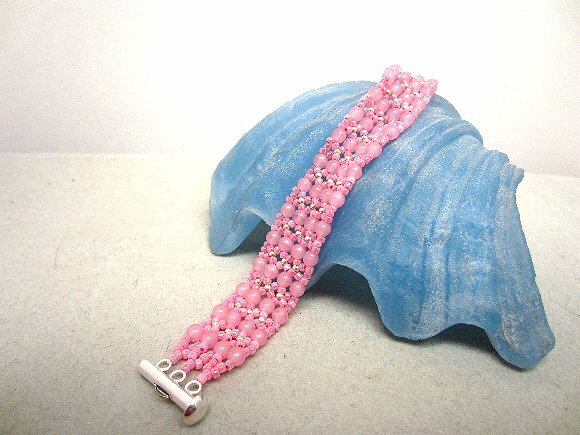 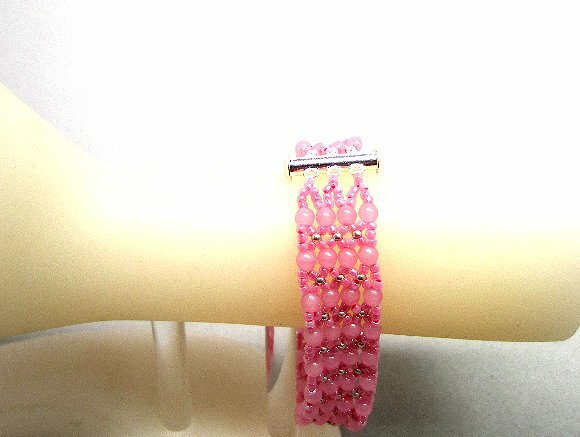 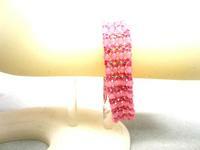 The bead woven bracelet is handmade of rose pink glass beads, and matching seed beads. 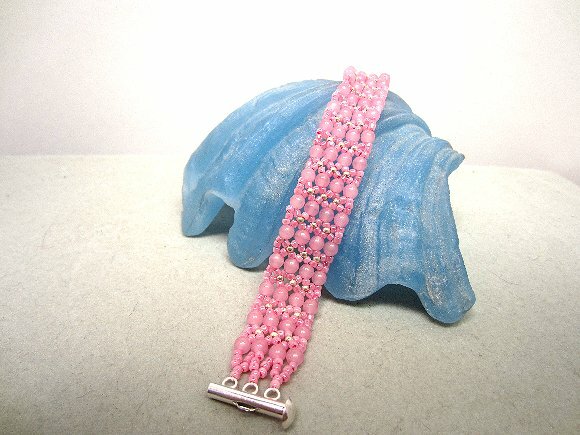 It measures about 7-1/2? 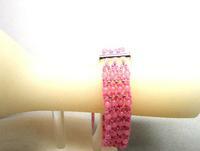 and closes with a silver plate slide clasp.